A call to Lucy Etches at Dbeere Yachts brings news that Steve Handy has sold the 22.25m motor yacht Vibe with Moran Yacht & Ship representing the buyer. 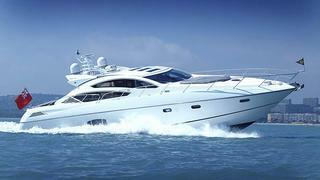 Vibe is a fine example from the Predator 74 series built by Sunseeker in 2010. She boasts stunning looks and high performance. Her contemporary interior is finished in black American walnut and provides accommodation for up to six guests in three cabins and with upper and lower saloons, there is plenty of space onboard. Fully MCA coded, she has already proved to be a successful charter vessel.